On summer weekdays, life is less hectic for Eric Frank than it is on weekends. A sales executive with Allied Marine, Frank carries out the duties typical of any yacht broker during the workweek - doing paperwork, making phone calls and sending e-mail from the office at the Sag Harbor Cove Yacht Club East in Sag Harbor, N.Y., a quiet little town in the Hamptons known for its immensely wealthy residents and visitors. "During the week in summer, it&apos;s pretty slow in Sag Harbor, but from Friday to Sunday is the prime time for networking," Frank says. Networking with the affluent people who frequent Sag Harbor during the summer is essential to Frank&apos;s role in Allied Marine. Allied Marine is owned by the Italy-based Ferretti Group - the parent company of eight high-end yacht builders - and serves as Ferretti&apos;s exclusive distributor in North America. Many of the yachts start at $1 million and most are designed for cruising in style. "The clientele that is here buys this type of yacht," Frank says. "On the weekends, I walk the docks, talk with existing customers, meet their friends, go boating with them. It builds invaluable rapport that may eventually lead to a sale. You can&apos;t approach sales of boats in this price point from a traditional perspective. You have to become a trusted friend, someone who&apos;s knowledgeable about the product and who knows what the individual wants." This is not uncommon, but the fact that Frank lives and works in Florida, where Allied Marine is based in Fort Lauderdale, and only comes to Sag Harbor to sell during the summer is unusual. Opening a seasonal sales office isn&apos;t the typical way a company expands its presence in the market, but with today&apos;s new normal, nothing is the way it was. An approach other than shouldering the costs of a permanent office right away in a new territory may make more sense, as it did for Allied Marine. The Ferretti Group acquired Allied in September 2008, hoping to increase North American sales of its eight brands - Ferretti Yachts, Pershing, Itama, Bertram, Riva, Mochi Craft, CRN and Ferretti Custom Line. Then the bottom dropped out of new-boat sales nationwide and Allied&apos;s management knew it had to get creative, says Rob McDougal, the company president. "The economic climate compelled us to re-evaluate the current business model," McDougal says. "We took a look at how we might expand into new areas that represented great opportunities. The Northeast is a great market and we decided to concentrate on it. We knew that Sag Harbor was particularly affluent and the location made sense. We decided to put our toe in the water to see what would happen [with a seasonal office]." 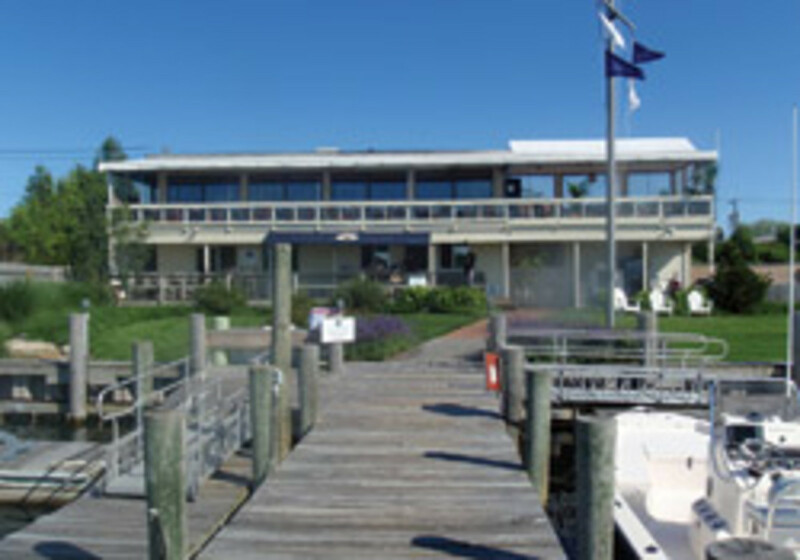 Allied Marine rented a house for staff and opened a seasonal Sag Harbor office in summer 2009. It also shipped yachts north to serve as display models. Frank, 31, is single and had no family commitments to keep him in Florida. He could spend the summer working in Sag Harbor. Frank says business slows in Florida during the summer anyway, because so many of his customers and prospects head north, so migrating north with them made perfect sense. It was a win-win for Frank. Allied also rotated other brokers in from its Florida locations for shorter periods, ensuring that there were at least two sales executives in Sag Harbor at all times. The company also sent a service technician to maintain the display yachts and to assist existing customers with warranty needs, says Brett Keating, director of marketing. Many of Allied&apos;s yacht owners spend winters in Florida and summers in the Northeast. The service aspect of the seasonal office represented an "important value-added component for existing customers," she says. The Sag Harbor foray paid off, McDougal says. "We had considerable success, given the economic climate we were operating in and being the new kid on the block," he says. "We gained a lot of knowledge about the local market - the types of boats that are the most popular and which ones are less likely to sell well [in the Northeast market]. As a result of our efforts last year in Sag Harbor, we sold more than five units." 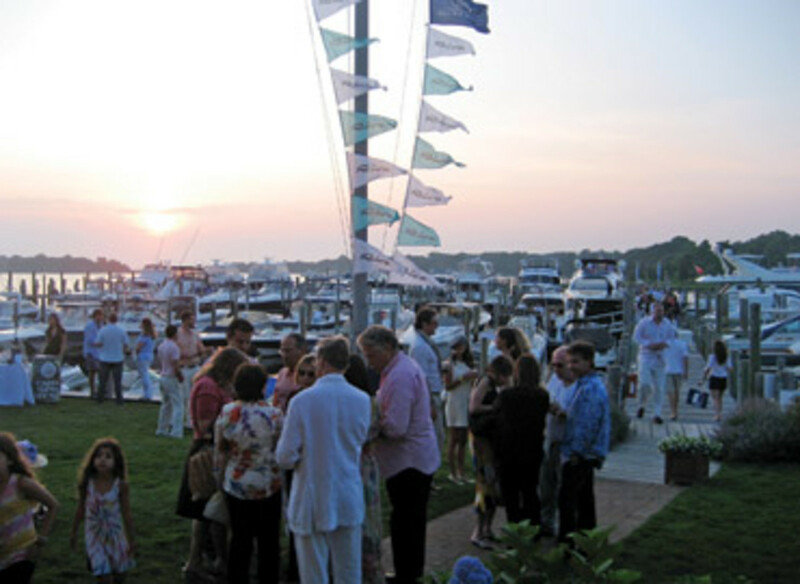 A fair amount of the sales activity that resulted from the marketing in Sag Harbor occurred after summer 2009, but contacts were made with prospects that later did buy yachts. Management decided to open the Sag Harbor office for a second season in 2010 and to expand the seasonal concept with one full-time broker, augmented with rotating brokers, to the Newport, R.I., area. The company based a Mochi Craft Long Range at the Carnegie Abbey Club, a luxury resort and golf club in Portsmouth, R.I., about six miles from Newport. It also had a house in Portsmouth for staff. The company planned high-profile events to ensure that the Mochi Craft would be seen throughout the season, including lining the yacht up to act as the host boat for June&apos;s Newport Bermuda Race. 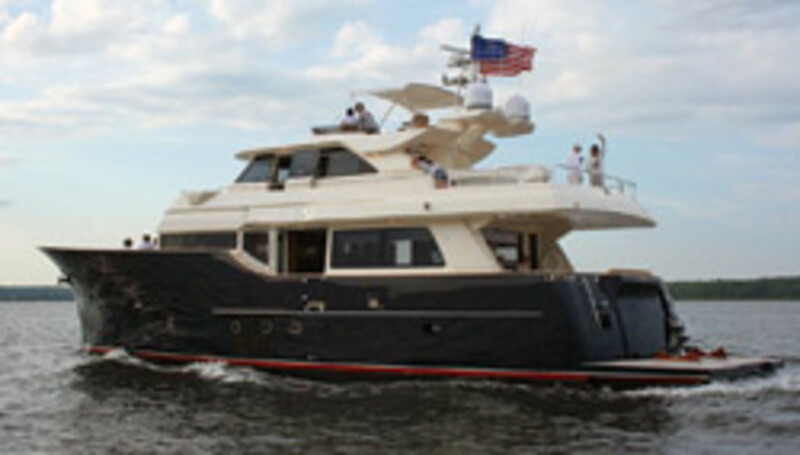 At Sag Harbor, there were four boats on display this year, including a Ferretti 510 and a Mochi Craft 74. In December, Keating says, the company saw increased interest in Ferretti brands and, although it was reflective of what she characterized as a "much healthier sales environment [overall]," the Sag Harbor effort did play a role. But it was only part of the story. Allied Marine planned big for the Miami International Boat Show in February, with 25 yachts on display, all but one or two 2010 models. The sales pace was brisk, Keating says. "We inventoried heavily for the boat show," McDougal says. "That was a risk, but we felt we needed to make a statement. We had our best foot forward going into the show. We sensed the economy was starting to turn around. The fact that we had that much stock was a bold step for us." Going forward, the experimenting will continue, McDougal says, adding that an approach that works in one market won&apos;t necessarily work in another. As opposed to opening a seasonal office in Chicago, Allied has entered into an agreement with Elite Yacht Brokerage LLC, which will act as a representative, though not in a traditional dealer relationship, McDougal says. "It&apos;s what we term a strategic partnership," he says. "We provided a boat for Elite and we will support Elite&apos;s efforts to market and sell that boat." Allied Marine is actively looking to expand its presence in other regions, as well, including Southern California. Until recently, it was exploring opportunities in the Gulf of Mexico, but the BP oil spill slowed those efforts. The Allied team was optimistic about its 2010 Northeast marketing campaign, given the Sag Harbor results in 2009. However, at midyear, it was taking a wait-and-see approach about the Newport area. "In Newport, we&apos;re just testing the waters by having a boat at Carnegie Abbey," Keating says. "It&apos;s a good way for us to test out the interest in our products, to get a feel for what the competition is doing in the area and to get a feel for where we might want to have a permanent office [in the Northeast]." McDougal reports that Allied Marine&apos;s sales were "up significantly over the previous year, in excess of 50 percent in revenue and units."